Plant Heritage, formerly the National Council for the Conservation of Plants and Gardens (NCCPG), was established in 1978 with the aim of encouraging and overseeing the establishment of well-documented and researched collections of garden plants. In the main, each collection is devoted to a single genus, but a few have a broader remit. Taxonomic research is encouraged, as is the placing of voucher specimens in the RHS Herbarium at RHS Garden Wisley. Documentation kept for the collections includes descriptions, photographs, cultivation information, details of the origin and history of each plant. 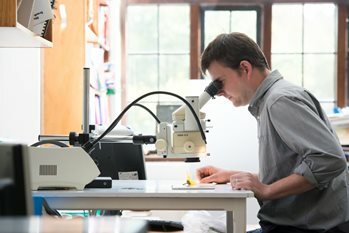 Duplicate collections help ensure the security of the National Plant Collections. Currently, there are more than 620 registered National Plant Collections. Get further information about Plant Heritage and its National Plant Collections on the Plant Heritage website. Between them, the RHS Gardens at Wisley, Rosemoor, Hyde Hall and Harlow Carr hold 12 National Plant Collections, under the auspices of Plant Heritage. Wisley currently maintains collections of Crocus, Epimedium, heathers, rhubarb, gooseberries and redcurrants. At Rosemoor are collections of Cornus and Ilex, while Hyde Hall holds the collection of Viburnum with the RHS Award of Garden Merit. Harlow Carr maintains collections of Dryopteris and Fuchsia section Quelusia. Each has an appointed custodian.